Providing you the best range of asphalt road equipment with effective & timely delivery. Air compressor pressure 9 kg/cm2. 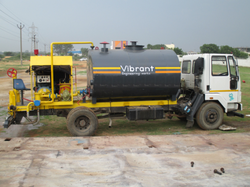 We have emerged as the foremost manufacturer and supplier of Asphalt Road Equipment.